You may have been wearing flannel and woolen suits all over the winter. Now with the advent of the spring season, it is always better to wear season-friendly clothes fabricated from cotton and other suitable fabrics. You can consider adding some color to the suits as otherwise you may have been confined to grey, black, navy and other business like colors. So, when you think on these lines, khaki suits flash across your minds. They may work out as good for a garden party as they are for business occasions. The best style of dressing for Khaki suits is to wear shoes without socks. 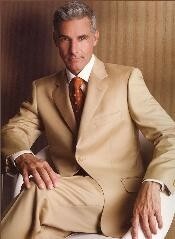 A khaki suit can be business-like, casual or in-the-vogue if you blend it with the correct accessory set. Khaki emerged in the North West frontier of the British empire in 1848. Sir Henry Lumsden, second in command of a regiment composed of Indian recruits was unhappy with both his and his troops uniforms. So he struck upon the idea of creating a new one. He produced a uniform made of resilient twill cotton and colored in brown to synthesize with the environment. At first he used imported dyed fabric from England but gradually supply became redundant and the cavalry men used the native plants like mazari, coffee and tea to color white uniforms. Otherwise they colored their uniforms with tobacco juice, curry, dirt and dust. The literal meaning of Khaki is soil colored and it is a word of Hindustani origin. The Khaki uniform was made the official dress for service by all of the regions British and Indian regiments. It was also used as a casual summer dress. It stood out with its properties of comfort and better synchronization with the environment. In 1902, it became the official service dress of British forces in the continent as well. 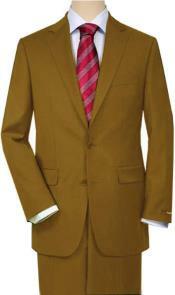 It is a lightweight suit colored pleasantly. It gives a crisp and neat look. 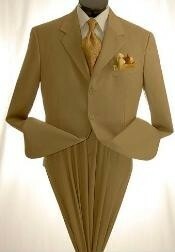 A turtleneck white shirt or a scoop neck white shirt along with this suit will give a great appearance. This slim fit suit flatters your body shape. 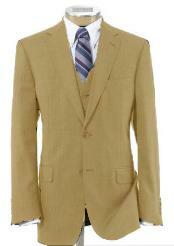 You can give yourself a cool look with this Khaki suit. You can wear a version containing patch pocket and notch lapels and project an informal look. A Pima cotton polo is likely to give you a trendy and dashing look. Pima cotton fabric is durable, absorbent and resilient. This cotton suit is suitable for official purposes. It has pleated pants. Teaming up this suit with a summer dress, knotted silk tie and a pair of dark black loafers will give you a superb appearance. This is a modern cut and fashionable but classic suit. Take care not to have wrinkles in your Khaki. You can try a wrinkle releaser spray to avoid creases. These Khaki suits are monochromatic and have a sharp effect on the onlooker. They look crisp, neat and give a graceful appearance. While you use monochromatic Khaki suits, it is best to top up your looks with an accessory or two which belong to a different color family. For example for a sand brown Khaki suit, a dark black wingtip brogue and a multicolored tie will go well. You can even wear a yellow colored cap, a pair of cooling glasses and a predominantly blue colored watch to augment the attractiveness of your appearance. A Khaki suit does look great as a whole. But you can wear each one separately with lone pieces as well. 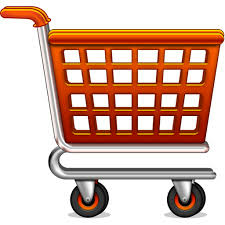 Khaki suits are very easy to wear and offer several benefits. Khakis are very versatile as compared to Jeans. While both can be worn with a wide range of upper wears starting from a t-shirt to a sports coat, Khakis are better suited for multipurpose wears. Khakis are trendier, stylish, smooth, lightweight and comfortable. They can be worn for an evening ramble in the park, official purposes or for chores around the house. When you buy a Khaki, you should take care of factors like the fit, no: of pockets, wear and tear, color, type and lengths of cuffs etc. From this reading you will understand the benefits of Khakis and stick to them in the spring and summer seasons especially .